Embossed with a fine floral design and washed with a glossy dark finish, this is a chic but sweet dresser pull design. Made of weighty ceramic, these dresser pulls have a high quality feel, matched by the thick metal hardware which will safely secure them in place. 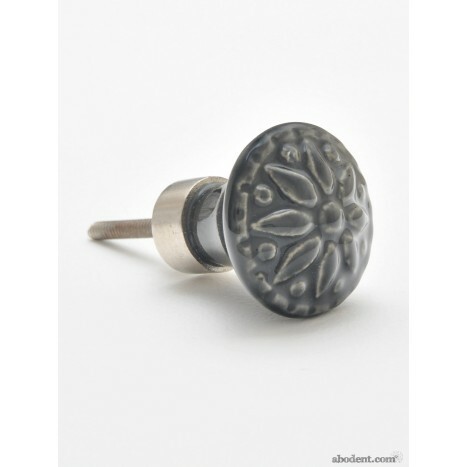 Tags: black flower ceramic pull, black ceramic knobs, black floral knob, ceramic flower dresser pulls.